In today’s world, it’s absolutely vital to take positive steps to ensure the safety of your family, business and property. An alarm system monitored by Innerlink Security & Sound can provide you with the protection and peace of mind you deserve. Customizing your system is a critical step to securing your home or business. Studies show that end-users will use a well-designed, customized system more frequently – in large part because the resulting system works the way it should to meet the needs of the individual. When it comes to home security, one size does not fit all. At Innerlink,all of our security systems are customizable, adaptable and designed to grow with you and your family. Now is the time to secure your home and business. The right way. Install a professionally designed, monitored home security system that meets your specific needs. A residential alarm system has four parts – window/door sensors, a motion detector, the alarm unit, and a control panel with display and keypad. Our representative will work with you to select a secure place to install the alarm unit, as well as a convenient location near an entryway for the control panel. Whether your alarm self-activates or you initiate the call for help, your alarm system will seize your phone line and dial central station. Following strict procedures, our professional dispatchers act quickly to contact you and verify your alarm signal and situation. Within seconds after your signal, the appropriate police, fire, medical, or other authorities are on their way to your home. In a true emergency, response time is critical. Our professional operators are trained to act quickly with precision and confidence whenever our Monitoring Center receives an alarm signal. To ensure an accurate response, our advanced monitoring equipment interprets and records each signal received, while our operators rapidly access account information to relay vital facts to the authorities. Central Stations monitoring quality and performance meets or exceeds Underwriters Laboratories’ strict requirements for UL® listing. We maintain the latest monitoring technology with triple-redundant systems. Innerlink Security & Sound employs trained professionals to deliver fast, reliable response service – 24 hours a day, 365 days per year. Regular, on-going training ensures our staff is ready for any emergency. We know you work hard to create a home and a comfortable life. Losing any possession to a burglary or fire violates your way of life. That’s why you need a home security monitoring system capable of providing a fast, efficient emergency response—every time—to protect your way of life and your belongings. How does a home security monitoring system work? Your home security monitoring system instantly sends a signal to the Central Monitoring Station, prompting our highly trained agents to react by contacting you via two-way voice or by phone. The Monitoring Station Operator will ask you to provide your password. In case you accidentally set off your system, we will clear the alarm from any emergency dispatch. If Central Monitoring Station is unable to contact you; if the monitoring station receives the wrong password; if your specified contact telephone line is busy; or if we have reason to suspect trouble at your home, we will dispatch the proper authorities to directly assess the situation. What is Two-Way Interactive Voice Verification? Through a hands-free, two-way speaker system, you can talk with the Central Monitoring Station to alert us of your emergency or situation. Because you’re the only one who can activate the system, your privacy is maintained – and you’re in charge, because Two-Way Interactive Audio Verification can’t happen unless you choose to initiate the system or the alarm is triggered. When an active carbon monoxide detector, smoke / fire alarm, or burglar alarm is triggered, or when you choose to activate the interactive audio system, you are quickly connected to the Central Monitoring Center who can react to your call and stay with you through the whole event. Innerlink Security & Sound, LLC is dedicated to providing only the best quality service and products for new and existing residential and commercial Security, Video, Audio and Smart Home Systems. 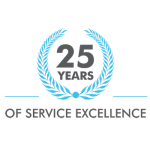 We have over 15 years experience with excellent customer service satisfaction in this industry proudly serving the Southwest Florida area.